Work harder and workout faster with a pair of the Train Speed 4 Training Shoes in Cannon, Black, Fierce Purple and White by Nike, the perfect trainers for those who hit the gym daily. The Train Speed 4 has a lightweight durable breathable upper that ensures your feet stay feeling cooler and more refreshed when put into action, and a full inner sleeve delivers a sock-like fit. Diagonal Flywire cabling in a crosshatch pattern helps keep your foot locked down in place as you make quick lateral cuts. 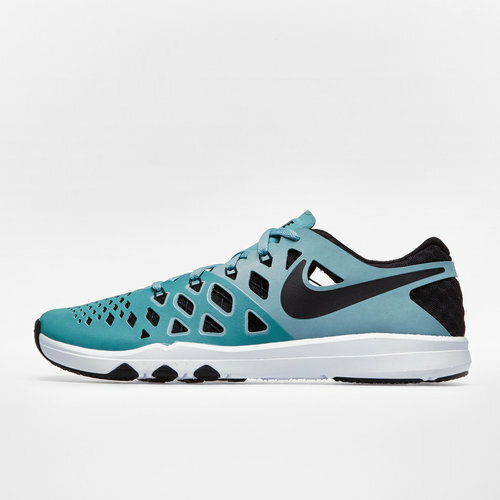 From lifting to sprinting, these Nike training shoes deliver reliable stability whichever workout you're performing thanks to a low-profile flat heel with a wider forefoot. A heel counter helps deliver a secure fit and keeps your foot in place. Foam within the midsole offers lightweight cushioning whilst the outsole has a rubber traction pattern and deep flex grooves for grip and mobility on a variety of surface types. Versatile and stable for any kind of workout, never miss a gym session without a pair of these reliable Nike Train Speed 4 Training Shoes.